of Royal Jet shared the company’s pride for winning: “We are proud to once again be named the region’s leading private jet charter company. This accolade is thanks to our team of dedicated employees who work hard to ensure that our clients always receive a bespoke, luxury VIP experience and that Royal Jet remains at the forefront of the private aviation industry.” In its efforts to constantly enhance its jets and develop its services, Royal Jet is undertaking a fleet replacement and expansion programme that will increase the fleet to an impressive additional 20 aircrafts by the 2020, at the hefty cost of $700 million. While the programme only started in October 2014, Royal Jet has already taken delivery of two Bombardier Global 5000 business jets and a Bombardier Learjet 60 XR business jet during the past seven months! 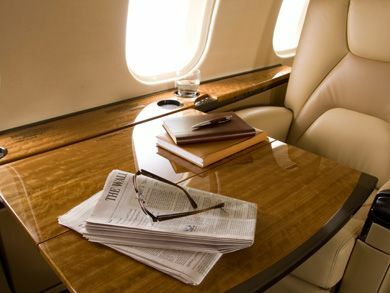 Royal Jet offers VIP chartering where carefully selected aircraft get configured to match the travellers’ needs. Providing a bespoke travel environment, fine Italian leather interiors and five-star cuisine, to high-speed Wi-Fi connectivity, each flight becomes a comfortable and enjoyable ride. The company also provides medical evacuation services through Royal Jet Medevac, which is available to any individual, corporate or government entity having a patient in need of immediate transfer to any regional or international destination.